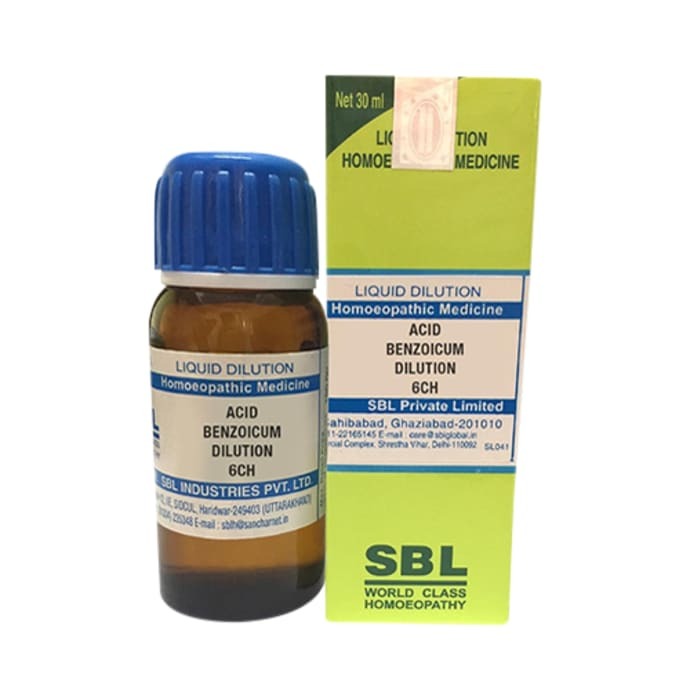 SBL Acid Benzoicum Dilution is an effective homeopathic remedy which is primarily used for the treatment of rheumatism and arthritis associated with urinary disorders. It treats conditions of suppressed gonorrhea and syphilis and relieves pain various muscle joints. It is also used to treat swelling of the wrists and bumpy toes. Urinary disorders such as discoloration of the urine with foul smell is treated well with the use of Benzoicum. Take 3-5 drops of dilution in 1 teaspoon of water thrice a day or as directed by the physician. 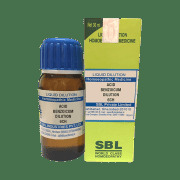 A licensed pharmacy from your nearest location will deliver SBL Acid Benzoicum Dilution 6 CH. Once the pharmacy accepts your order, the details of the pharmacy will be shared with you. Acceptance of your order is based on the validity of your prescription and the availability of this medicine.